Sometimes the best way to replenish one’s mental health reserves is to get away from it all for a while – discover new sites and reconnect with the inner you. To put this notion into motion the Center for Spiritual Living, 575 N. Main St., is sponsoring a one-of-a-kind “Spiritual Journey” to the sky city of Acoma and Canyon de Chelly, with award-winning Native American musician, Randy Granger, whose 2013 release, “Strong Medicine” soared high on New Age charts, is still a regular staple on Sirius Soundscapes and was nominated for Best Native American Album by the Zone Music Reporter. The journey will take place over four days and three nights, Tuesday July 22 through Friday, July 25, 2014. Included in the trip will be luxury coach travel, accommodations at the Sky City Casino Hotel Resort and the Sacred Canyon Lodge, as well as tours, concerts, drumming circles and plenty of opportunity to slough off the cares and worries of the work-a-day world. 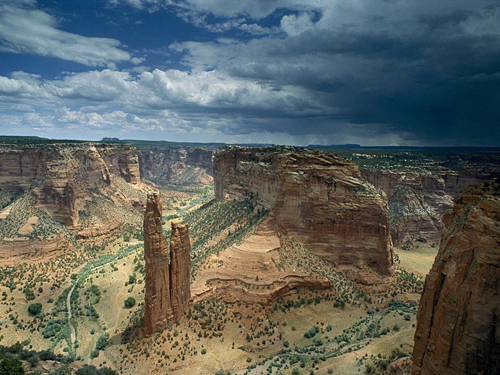 One of the destinations for the trip is the magnificent Canyon de Chelly. This spiritual connectivity to the world around him is one of the very reasons Granger was first attracted the Center for Spiritual Living, where he is now a regular attendee and performer. He makes it clear, however, that he doesn’t necessarily adhere to any particular religious affiliation. 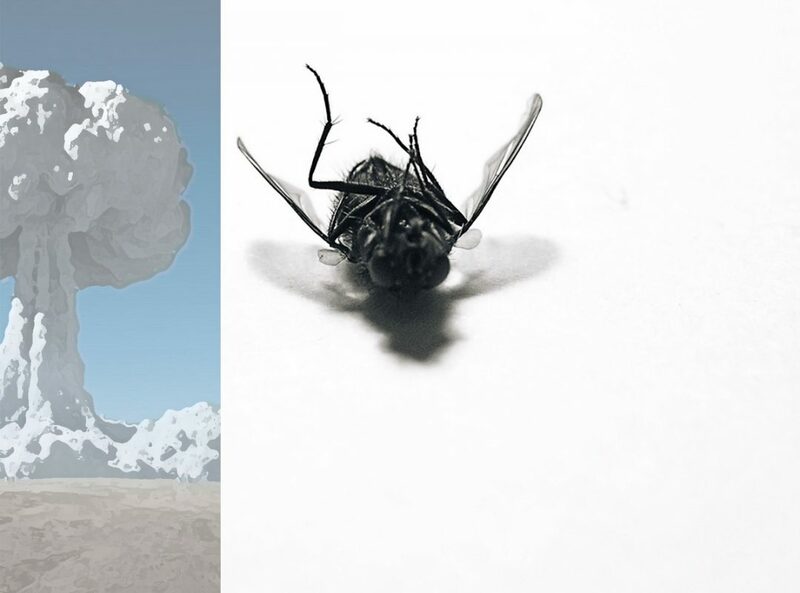 In fact, he sees a very clear delineation between the spiritual world and the religious world. 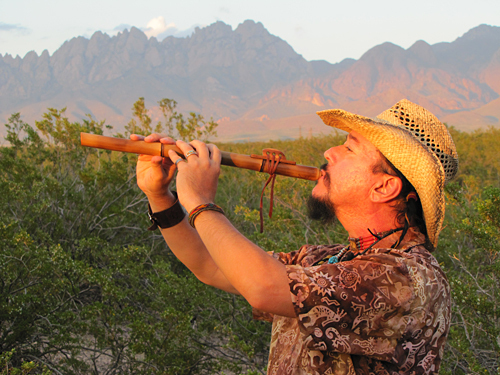 For Granger, this journey to ancient lands cherished by native peoples is an opportunity not just to make new friends and introduce them to both his music and a simpler way of living, but also to stretch his teaching and meditation muscles. As facilitator of the journey, he will lead meditation exercises in the mornings, to prepare his group for the day ahead, and in the evening, to ease them with relaxation afterwards. All against some of the most spectacular backdrops New Mexico has to offer. 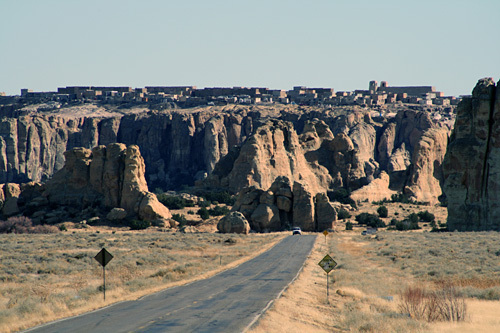 Acoma Sky City, one of the oldest, continuously inhabited locations in North America, is another destination point. Conceived by tour guides Pat and Cindy Breedlove, who have over 25 years experience conducting tours all over the world, this particular trip holds a little more meaning for them. Of the many experiences the couple are hoping to share with travelers on this particular journey, one they are most excited about are the group tours. Other highlights, according to Breedlove, will be a drum circle led by Granger in the big outdoor amphitheater at the Sky City Casino and Hotel, where the group will be staying, and a concert on the final night at the bottom of Canyon de Chelly. 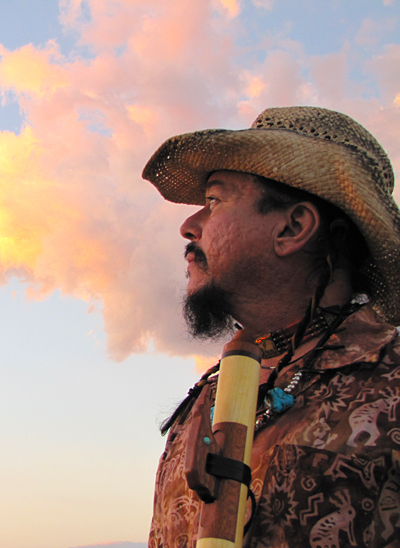 Multi-instrumentalist Randy Granger sees a significant connection between his music and the land that surrounds him. In fact, this particular journey is something they put together in order to better serve the community they live in. Current members of the Center for Spiritual Living, the Breedloves would like to raise enough money to provide the building with some much needed renovation. Though he has only recently become acquainted with the Breedloves, Granger was attracted to their philosophy and entrepreneurial spirit, leading, he believes, to a meaningful and hopefully long-lasting connection. As an indicator of the Breedloves’ dedication to this principal, Granger points out that 100 percent of the funds raised will go toward renovations at the Center. Even so, he said, this trip shouldn’t be thought of as strictly a church function. With only 47 seats to fill, at a cost of only $450 per person, chances are good this trip will sell out fast. For more information or to book passage for the Spiritual Journey, call Cindy Breedlove at 202-0885, before July 15. A shorter version of this article originally appeared in the Health & Well Being section of the June 27, 2014 issue of the Las Cruces Bulletin. All rights reserved.